It’s no secret that we love our pets more than we love most people. That is why when our fur babies aren’t feeling well, we will do anything in power to ensure that they are up and running like the little pup that lives inside of them. Whether it be a loss of appetite from cancer treatments, post-adoption anxiety, or elder doggy arthritis, CBD dog treats can give your pet the quality care it needs to live a healthier, happier life. Let’s take a look at how CBD treats work for dogs and what to look for when buying them. Like humans, dogs are sentient creatures. They have all five senses, feel emotions, and can endure pain. In fact, they are far more sensitive to all these sensations than their human counterparts. That’s because dogs have a more complex endocannabinoid system. When cannabinoids present in CBD oil latch on receptors throughout the dog’s endocannabinoid system, it helps create homeostasis in their environment. Treating a dog with CBD dog treats is much like a human being getting their medical marijuana card because our endocannabinoid systems oversee many of the same ailments. You wouldn’t give yourself or a loved one any medication without researching it or any food that contains subpar ingredients. The same kind of standards should be held for your dog. While many pet-related cannabis treats are popping up around the United States, the market can quickly become watered-down with less effective imitations. 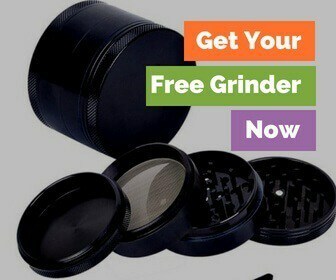 You want to make sure that you are getting your furry loved one quality CBD dog treats. 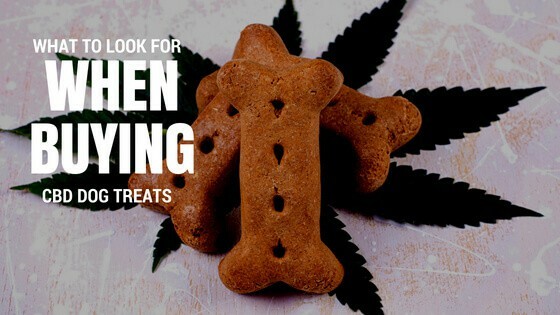 Here are some items to look out for when it comes to buying CBD treats for your dog. Get to know the ingredients that are in your dog’s CBD treats. After all, some of the symptoms you are treating your dog for may be caused by the food you are feeding them in the first place. For instance, conditions such as inflammatory bowel disease and arthritis are often triggered by allergic reactions to additives in foods. Be leery of anything that may contain artificial colorings, gluten, or dairy. These may be triggering the responses that are causing you to buy CBD dog treats, which ultimately would render this treatment ineffective. Dogs have a more sensitive endocannabinoid system. Therefore, their livers can’t metabolize cannabis like humans’ organs do. Due to this increased sensitivity to cannabinoids, it is possible for your dog to overdose. It is imperative you follow all dosage directions. Additionally, dogs are overly sensitive to THC, so be sure the product specifies it only contains CBD. Dogs of different ages have different needs. Typically, younger pups need CBD dog treats for anxiety-ridden behavioral issues. Whereas older dogs usually need help with physical aches and pains. Like packaged dog food, many CBD dog treats are formulated to meet the needs of particular pets. Be sure you are purchasing a CBD dog treat intended for your dog’s specific conditions.